In Jewish tradition, Rosh Hashana has several names that can help us understand the importance and power of this holiday. Rosh Hashana literally means "Head of the Year" because Rosh Hashana marks the point when we begin the new calendar year (e.g. from 5775 to 5776). Yom Harat Olam is translated as "The Birthday of the World." Yom Hazikaron is translated as "The Day of Remembering." Yom Hadin is translated as "The Day of Judgment." Yom Teruah is translated as "The Day of Sounding (the Shofar)." This is the actual name that the holiday is called in the Torah. Ok, so there are five different names for the holiday. What is the significance of that? How do these different themes relate to each other? The Teruah is the staccato sound blown on the shofar. Yom Teruah serves as a call to attention because this day is Yom Hadin, the Day of Judgment, and it is imperative that one be cognizant of the importance of the day. It is the Day of Judgment because it is Yom Hazikaron, the day on which God looks back and "remembers" our deeds, individually, collectively and historically (a record of over 4,000 years of Jewish history). Why is this the Day of Remembrance? Because it is the anniversary of the creation of the world (Yom Harat Olam). Since the annual cycle is closing, it is the perfect time for reflection and judgment. This new beginning allows us to enter the new year with a clean slate. And since the old year and the new year are seamless, this day is also Rosh Hashana, the head of the year. 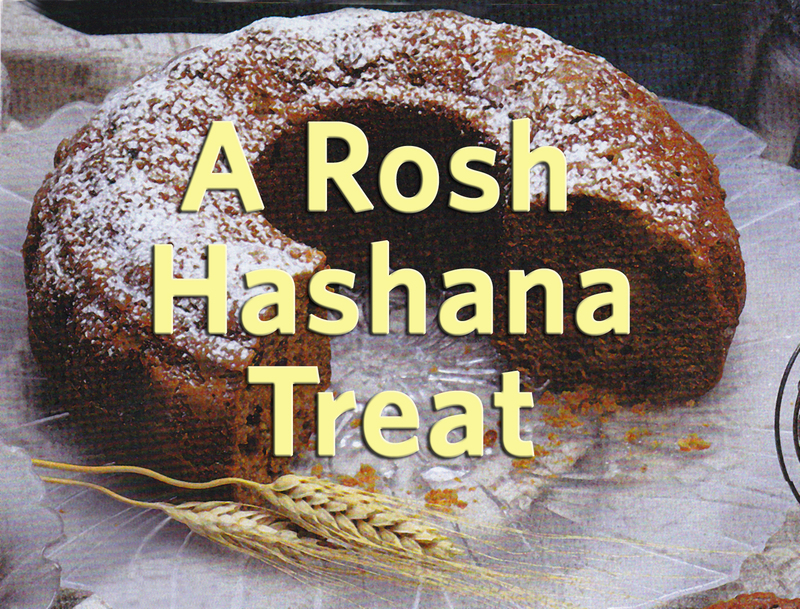 This Treat is reposted in honor of Rosh Hashana.